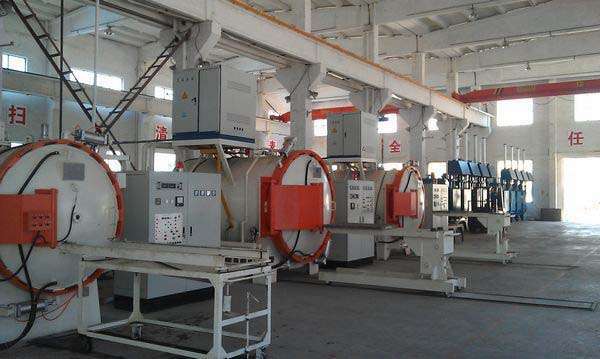 We all know the vacuum furnace is under vacuum heating furnace, vacuum furnace can be widely applied to industrial, aerospace and other precision industry, vacuum furnace can quench (including tempering and annealing), vacuum brazing, vacuum sintering, vacuum magnetic, etc., the advantages of function room very much. 1. Can completely eliminate the oxidation and decarburization of the surface of the workpiece during the heating process, and obtain the clean surface of the non-metamorphic layer. 2. No environmental pollution, no tri-waste treatment. 3. The measurement of furnace temperature and monitoring precision are obviously improved. 4. High degree of electromechanical integration. On the basis of improving temperature measurement and control accuracy, the workpiece movement, air pressure regulation and power regulation can be programmed in advance, and the quenching and tempering are performed according to the steps. 5. Energy consumption is significantly lower than that of salt bath oven. The modern advanced vacuum furnace heating chamber adopts the insulation wall and the barrier which is made of high quality insulation material, which can be concentrated in the heating chamber, and the energy saving effect is remarkable.